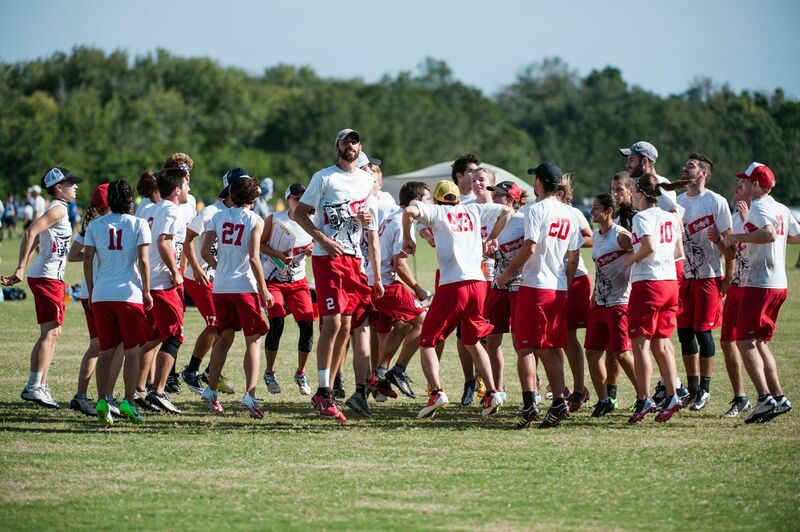 AMP is dedicated competing against the best in the country, improving as individuals and as a team, with teammates who make the hard work fun and worthwhile. We’re eager to meet all players, regardless of experience. 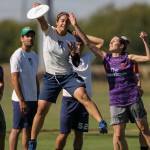 To join the 2016 team list for pre-season workouts, tryout details and social events, email captains@phillyamp.com with a description of your playing experience and goals. We have created a calendar at this link with the tryout schedule and key tournament dates from AMP and other local club teams. 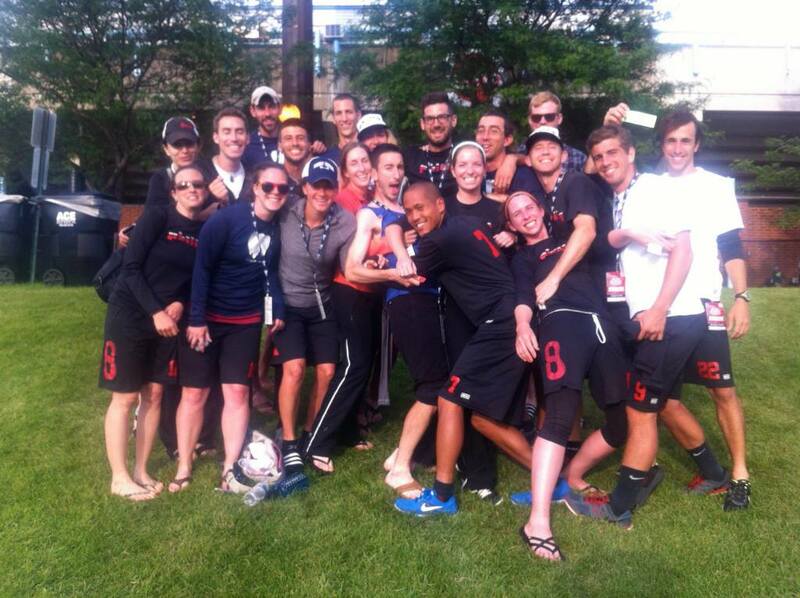 AMP 2015 welcomed 16 new teammates, our first mascot, and finished the season 11th at the Club National Championships! 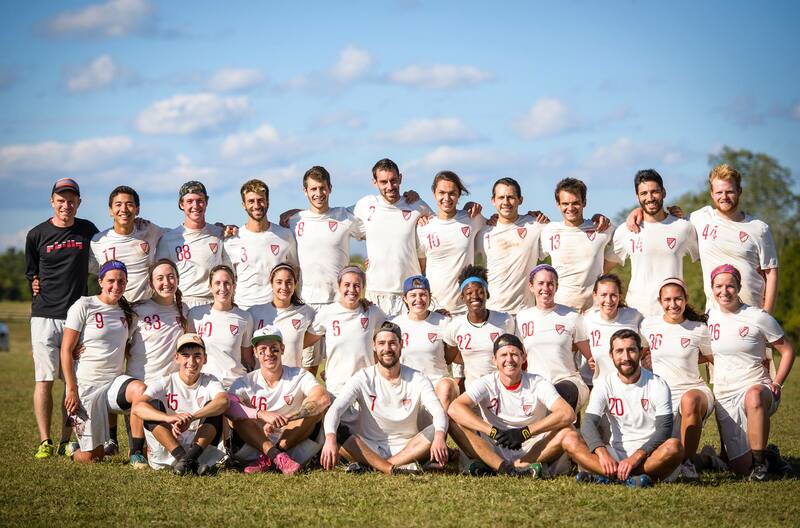 We competed in Delaware, Pennsylvania, Ohio, Colorado, Minnesota, Maryland, and Texas, won two local tournaments, topped our pool in our first two Triple Crown Tour events, and earned our 10th consecutive nationals bid. 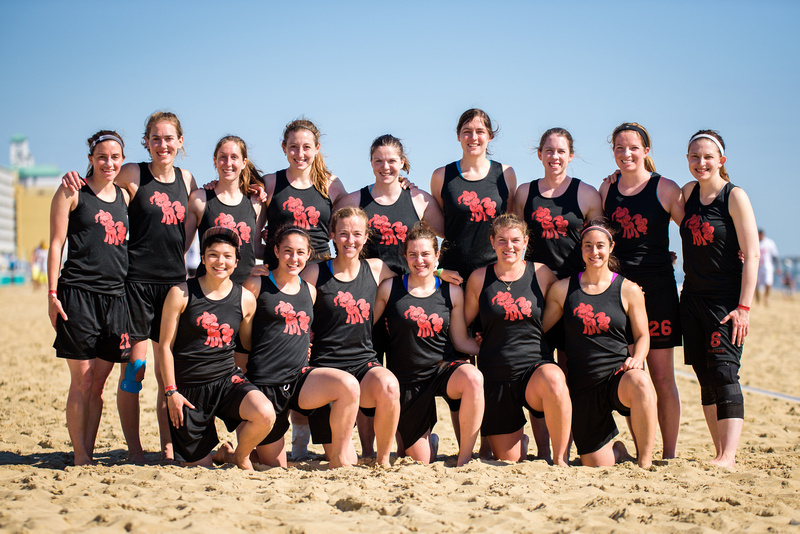 Check out our club season highlights at this link. 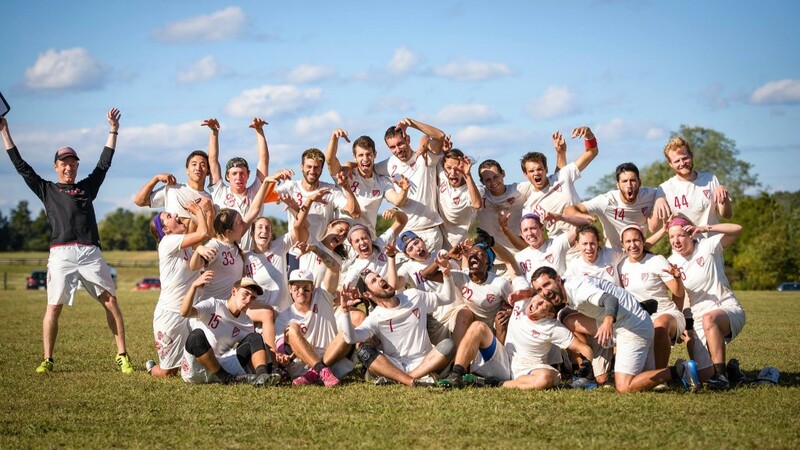 We’re eager to keep growing – individually, competitively, and by welcoming new members to the team – earning results on the field, respect for the way we play, and representing Philadelphia’s incredible ultimate community. In 2014 AMP travelled to Henlopen, Oaks, Minneapolis, New York, Seattle, Maryland, and Texas – camped in Delaware, cooked pizza in Sara Taggart’s backyard, and hiked the Cascades; we took over the Kreider, Carlson, and Paparone homes, a bowling alley, hotel hot tub, fire pit, several bars, and retired our party house on Moyamensing Avenue. 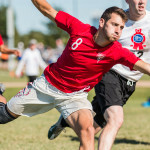 AMP welcomed six rookies, two additional new players returning to the team, won our eighth regional title, and finished tied for ninth in the nation. 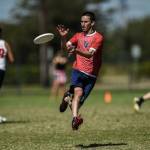 Check out our nationals and summer tournament albums on Facebook, and start training for 2015! 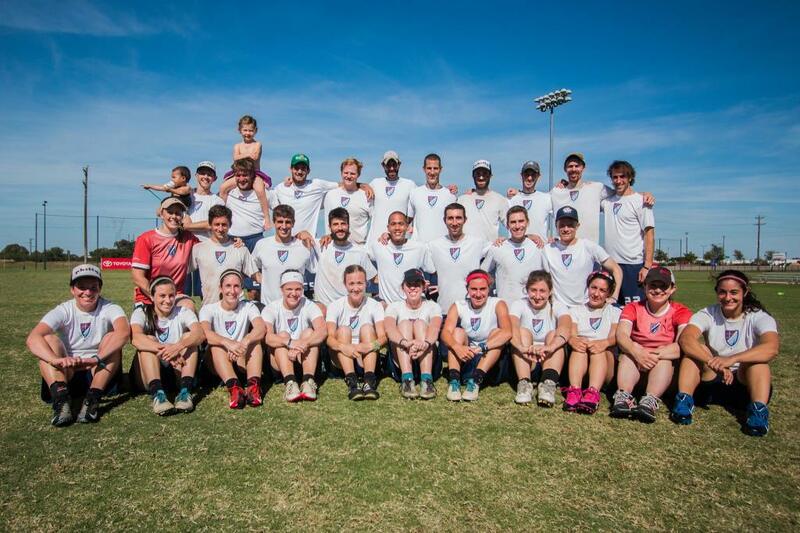 AMP finished 2013 as the first USAU club regular season champions in the mixed division, and 6th at Nationals. 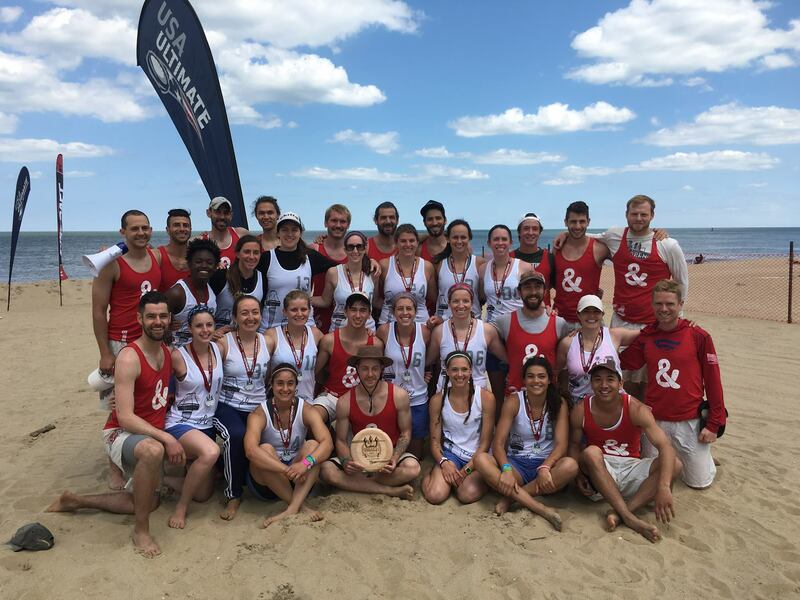 We’re eager to continue improving this summer and are recruiting men and women interested in winning a championship for Philadelphia. 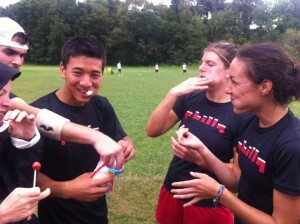 Email captains@phillyamp.com with any questions, or to get involved. AMP’s 2014 season starts April 13th with a roundrobin tournament for interested tryouts. 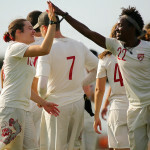 Men and women interested in representing Philadelphia as part of AMP 2013 should email captains@phillyamp.com for more information and to get on the tryout email list; please include some background on your playing history in your email. 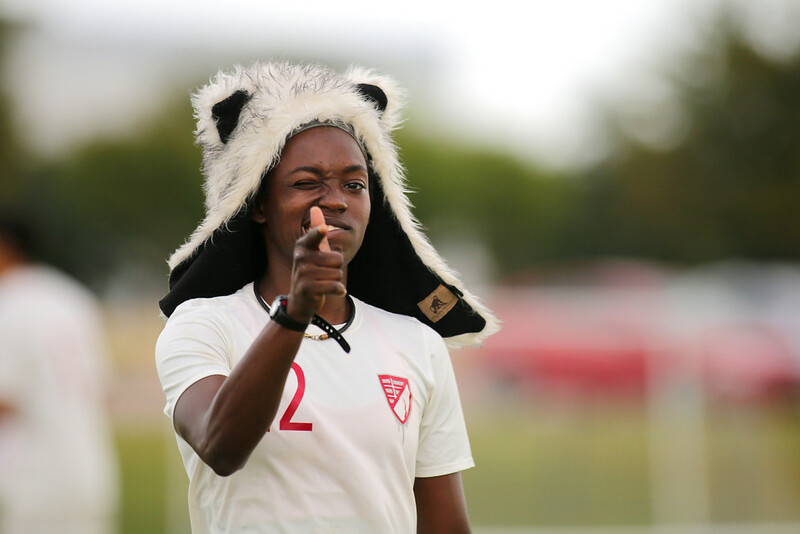 AMP values talented players and who fit together on and off the field: constructive teammates who make their team better when under pressure, enjoy the game, and challenge one another to improve. 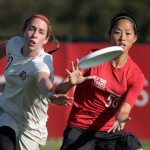 In the early season AMP will be working with Bitmap, Philly’s newest mixed team, with opportunities for developing players and veterans looking to play structured and fun, team-focused ultimate. Bitmap represented well at Philly Invite, Chesapeake, and Sectionals in their first season, last year; email bitmap.philly@gmail.com for more detail. 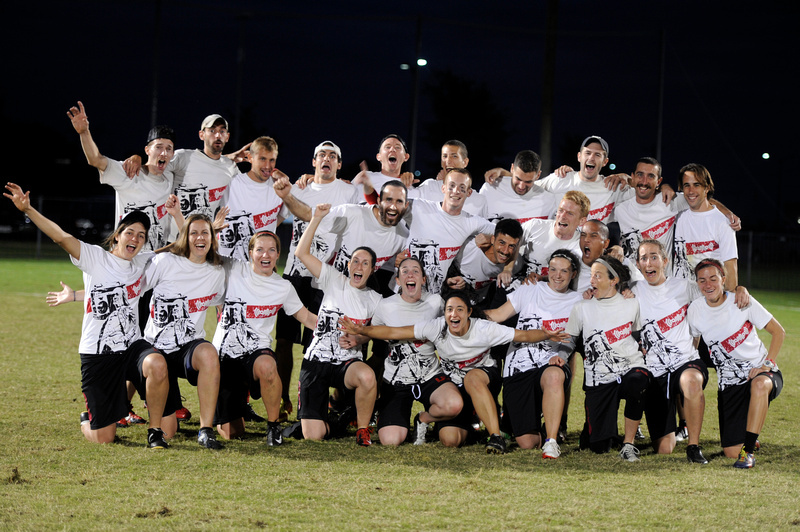 AMP’s pre-season team workouts will be held April 6th, 13th and 27th, before tryouts begin with practices on May 4th and 11th, June 1st and 8th, and July 13th and 14th – dates are still preliminary and could include some Sundays in place of Saturday sessions. Tryout tournaments will include PADA’s Bell Crack Classic in Kennett Square, PA on May 18-19, as well as Poultry Days in Versailles, OH on June 15-16, and Charm City Classic in Baltimore, MD [dates TBD]. 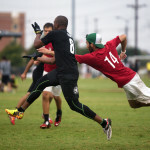 After the roster is announced AMP will host the USAU Pro-Elite Challenge at Philly Invite in July, travel to the USAU Elite-Select Challenge in Seattle, WA in August as well as WAFC’s Chesapeake event before starting the club series in September. 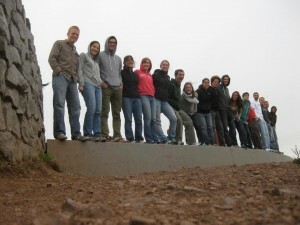 The team at Twin Peaks in San Francisco before Mixed Labor Day. We are overdue on tournament updates as AMP has been in action at Chesapeake, Labor Day, Founders’ Secitonals and Mid-Atlantic Regionals. 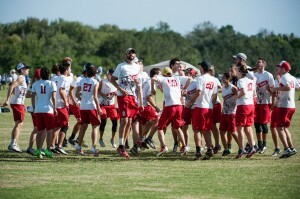 At each tournament AMP has grown more confident, filling our roles individually and expressing our unique character as a group through our play on the field as a team, and off the field at our many team meals, car rides, workouts and get togethers. 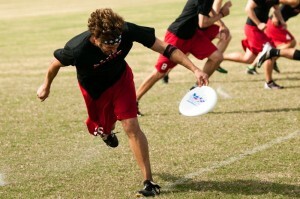 AMP between-game activities at Chesapeake. With marshmallows.